Please join us for a visual presentation with visiting artist Shanna Leino. Shanna will discuss her work and will also have on hand examples of her book work, tools, and metal work. 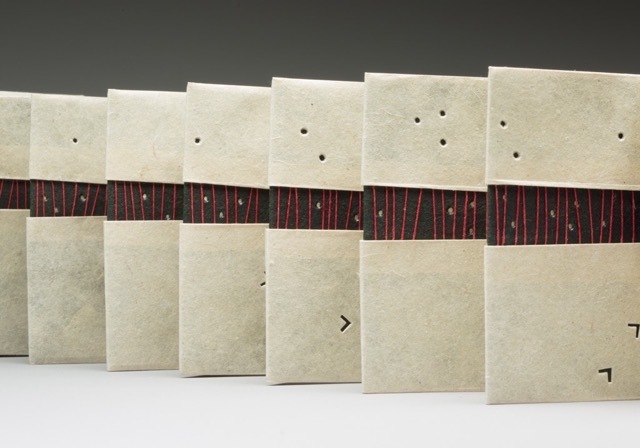 Shanna Leino is a book and tool maker living and working in Frankfort, Michigan. Her love for early book structures such as the leather-covered Coptic and Ethiopian led her to tool making. There was a need for a tool she didn’t have—making it was as much fun as using it. Shanna has taught book making classes for Wells College, Columbia College Center for Book and Paper Arts, and Penland School of Crafts.